Item # 297418 Stash Points: 11,995 (?) This is the number of points you get in The Zumiez Stash for purchasing this item. Stash points are redeemable for exclusive rewards only available to Zumiez Stash members. To redeem your points check out the rewards catalog on thestash.zumiez.com. 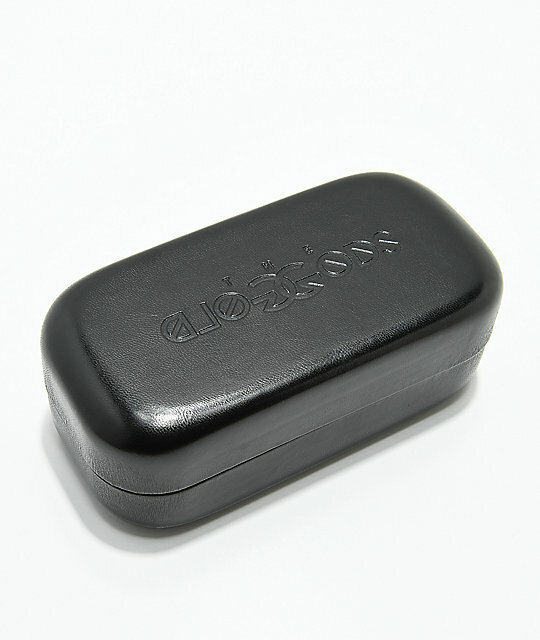 Finish off your summer look with The Ares glasses from The Gold Gods. 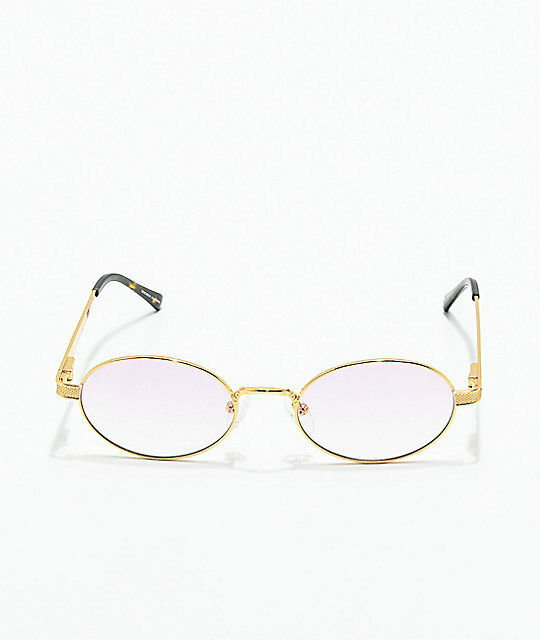 Oval, 18K gold plated frames encompass rose pink gradient lenses and finished with Gold Gods brand logos at each temple and tortoise earpieces for stylish touch. 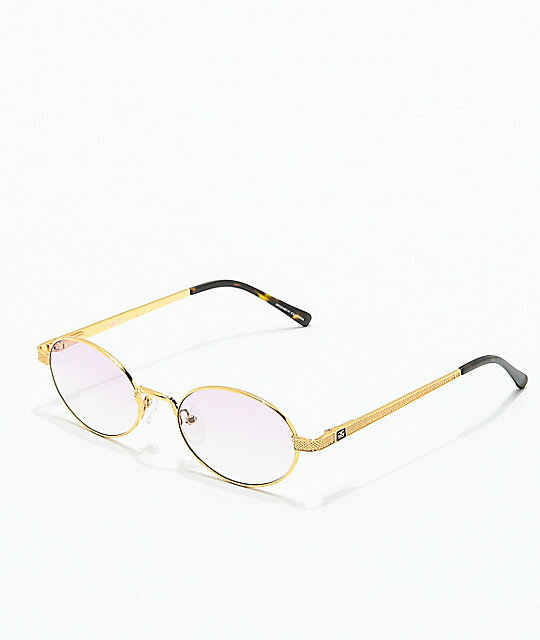 The Ares Gold & Pink Gradient Sunglasses from The Gold Gods.